Metal Bar Brackets are specifically crafted for the support of granite and other solid surface countertops. Metal bar brackets incorporate strength and durability along with appealing traditional and contemporary Euro style supports. 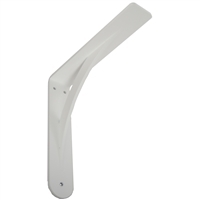 These metal brackets are made exclusively in the USA and enhance both residential and commercial environments.